We've been hearing lots of good things about Iain Sarjeant's Exhibiton "Among Trees" and we're featuring an interview with him in this issue as well as a review of the exhibition by one of the first visitors. Exhibitions are undoubtedly the best way of seeing photographs but for most people it is books that become the best compromise between availability and quality. 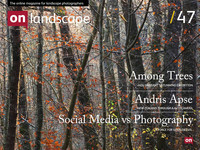 And Andris Apse's "Light and Landscape" is the sort of beautiful book that does it so well. 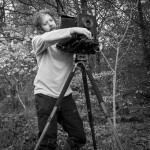 We're also talking about social media, featured photographer Fran Halsall, Glen Orchy location guide and we're also welcoming a couple of new members of the On Landscape team - Andrew Nadolski and Jenny Ward.